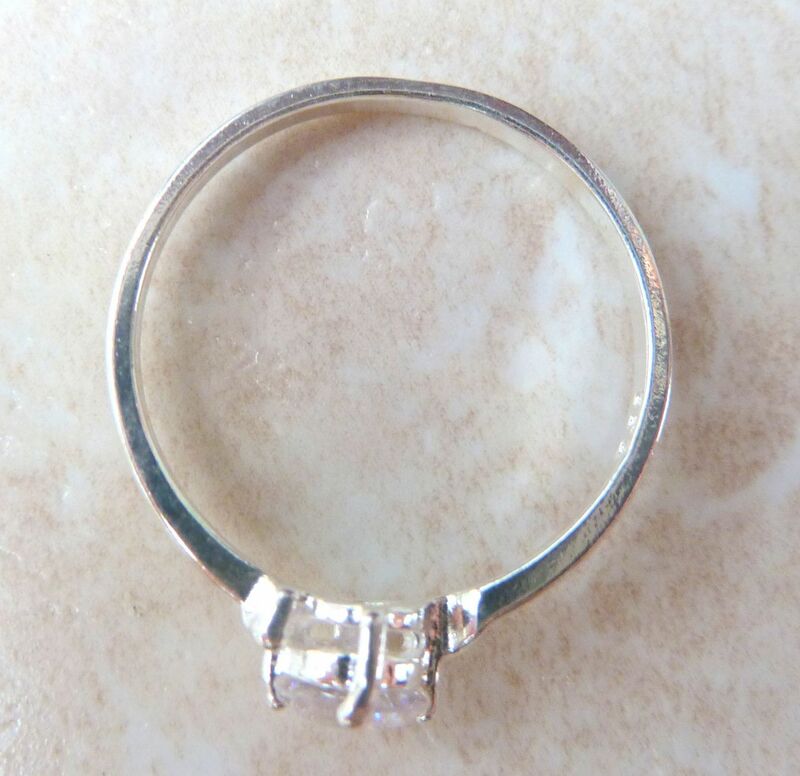 Centrally set faceted Zirconia stone. Vintage modernist style sterling silver and zirconia ring, fully hallmarked. 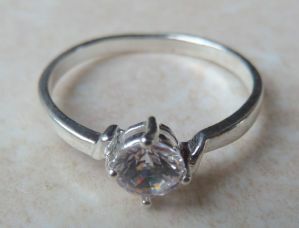 Sterling Silver And Single CZ Diamante Necklace. 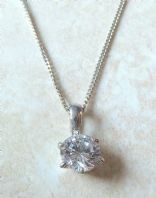 Sterling silver and single cubic zirconia stone necklace.